The National Cherry Blossom Festival in Washington, D.C., from March 20th to April 14th, 2019, is a major tourist attraction. Since the Cherry Trees are expected to have their peak bloom beginning April 1st, there will be an influx of tourists in the coming weeks. Ironically, many of the popular events during D.C.’s Cherry Blossom Season have nothing to do with the origins of cherry trees, which, in 1912, were given to the United States government by the Japenese government as a gift of friendship. The cherry blossom is a symbol evanescence of human life and epitomizes the transformation of Japanese culture throughout the ages. In honor of Japenese culture during the Cherry Blossom Festival, here are 7 non-tourist things to do to celebrate the cherry blossom season. The Cherry Blossom PUB is a pop-up bar made to honor Japanese culture and celebrate the D.C. Cherry Blossom Festival. The pub is decorated in Cherry Blossom theme and all the drinks are in Japanese style. Each year the venue is decorated differently and offers a unique photo opportunity along with a professionally taken photo. If you want one of these photos you need to put your name on a waitlist and they will text you when it is your turn, I suggest doing this as soon as you arrive. This year the Cherry Blossom PUB has also added a Ramen Bar where you can order Uzu Ramen, vegan options are available. The ramen is only available Wednesday, Thursday, and Sunday until 10 PM and Friday and Saturday until 11 PM. Another new addition to the Cherry Blossom Pub this year is a room called Publin, dedicated to Irish decoration and tradition. The best time to go to the Cherry Blossom PUB, especially in the height of Cherry Blossom Season, is during the week (Monday through Thursday); however, if you want to go on the weekends I have found it is best to go either as soon as it opens or an hour till closing. You must be 21 with valid identification to enter the Cherry Blossom PUB. If you are under 21 you may only enter the Cherry Blossom Pub before 9 PM and if you are accompanied by a parent or guardian. The Cherry Blossom Pub is open Sunday through Thursday from 5 PM to 12:30 AM and Friday and Saturday from 5 PM to 1:30 AM. It is located at 1839 7th St. NW Washington, DC, 2000. This pop up ends on April 21st. The exhibition is open to the public beginning March 29th through June 28th, Monday through Friday from 9 AM to 5 PM. The JICC is located at 1150 18th Street NW, Suite 100, Washington, DC 20036. The Freer Art Gallery is a Smithsonian museum dedicated to Asian Art, which currently has 5 exhibitions on Japenese Art. Imperfectly Beautiful: Inventing Japanese Ceramic Style is located in Freer Gallery 6 and shows Japanese Ceramic Styles from its beginning in the 16th century and how it has evolved through experimentation. The Freer Art Gallery is located at Jefferson Drive at 12th Street SW and is open Monday through Sunday from 10 AM to 5:30 PM. If you want to learn more about this subject, The George Washington University is hosting an educational event, Lecture: National Japanese American Memorial to Patriotism. It will be held at the George Washington University Museum and The Textile Museum (701 21st Street, NW) on April 15th at 12 PM. The Japanese American Memorial to Patriotism During World War II is located at Louisiana Ave. NW & D St. NW, Washington, D.C. There are constantly screenings of Japenese films, documentaries, and live scores in the D.C. Area. The Japan Information and Cultural Center keeps track of all of these screenings in the area and shares a public list of them, which you can find here. One notable event is the Studio Ghibli Fest 2019, where there will be nine Japenese films screened in nine months starting in April. 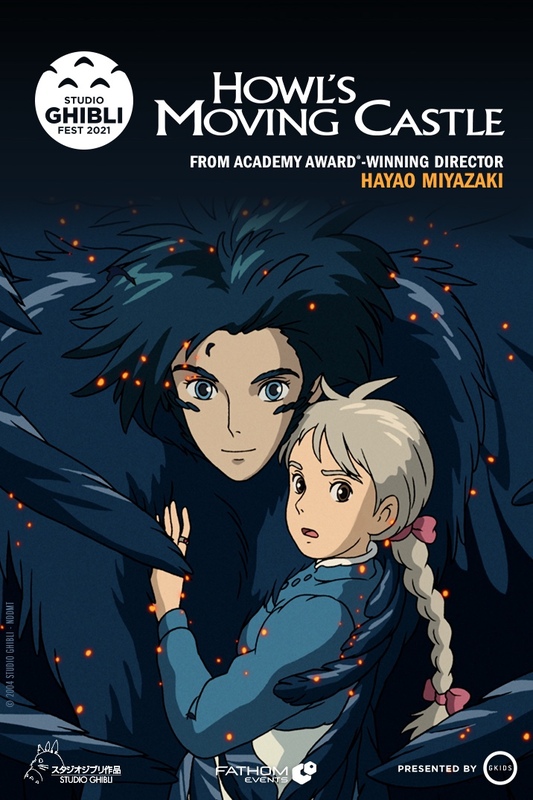 On April 7th, 8th, and 10th, Howl’s Moving Castle will be screening in movie theaters all across D.C. The Japan Information and Cultural Center published a map that shows Japenese Resturants in the District of Columbia, Maryland, and Virginia. Whether you are looking for a more modern take on Japenese food, such as Buredo, or if you are looking for a more traditional experience, such as Sakuramen, their map will give you plenty of options to choose from. The list also includes the restaurant Sticky Rice, which is known for their vegan options. This activity gives you the opportunity to not only eat delicious food but also to support local businesses in D.C.
Teaism is the only Tea House in D.C. that is listed on the Japan Information and Cultural Center’s Website. Teaism has locations in Dupont Circle, Lafayette Park, and Penn Quarter. They pride themselves on being “an alternative to the obfuscation, over-formalization, and xenophobia of traditional Asian and English tea houses.” At Teaism, you can roll your own sushi and order from a large menu with diverse options. There are multiple vegan options such as the vegan cheeseburger and tempeh scramble. They also have a wide range of tea options including boba tea, chai tea, and traditional hot teas. Every day there is afternoon tea from 2:30 PM to 5:30 PM where you pay $25 and receive light snacks, tea and a glass of Prosecco. Check out their website to see each location’s address and hours. Regardless of whether you want to celebrate D.C.'s Cherry Blossom Festival as a tourist would, or if you want to celebrate it in a more unique, locally-minded way, be sure to remember the history of the cherry blossom and U.S.-Japanese relations during your celebration. Also, remember that you can find Cherry Blossoms all around D.C., not just at the Tidal Basin, you can even find some on American University's Campus! Hi, I'm Abby Henry and I use she/her pronouns. I am a sophomore at American University studying Women's, Gender, & Sexuality Studies. My hometown is Canton, Ohio and previously I attended Syracuse University in New York. My passions include but are not limited to transnational feminism, vegan chicken nuggets, and queer reproductive justice. Legal Versus Accessible Abortion: What's the Difference?